Nothing beats sitting in a cozy restaurant and watching the steam from your hot soup warm the air. 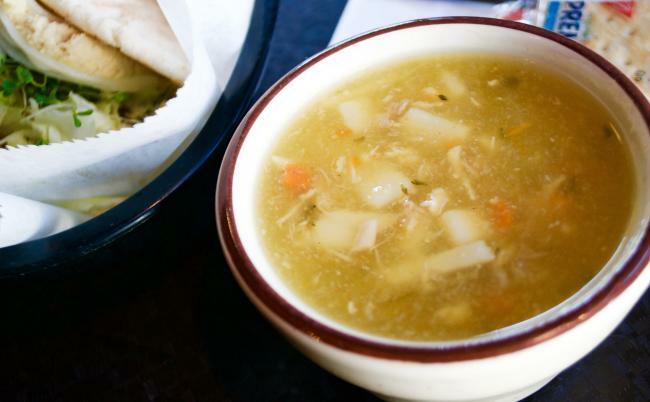 I had the pleasure of tasting a variety of soups over the past few weeks at some of Eau Claire’s best restaurants, and I must say, there were all “soup-er” delicious! Coffee Grounds is where you can wander their aisles of wine and food before ordering some homemade soup. 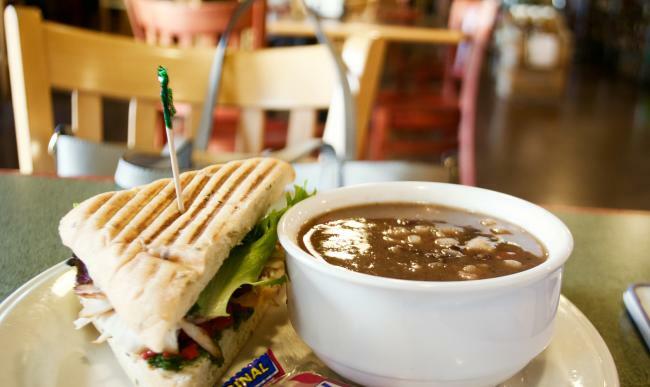 The menu changes daily, but the half California Turkey sandwich and half Black Bean soup was a wonderful lunch combination. The savory soup was full of beans and finished with a salty and spicy kick. Next up is a quick and easy bowl of soup from Just Local Food Co-op. At the front of the store is a soup station for customers to scoop out their own soup into 16 or 20 oz. cups. The two flavors that I had the pleasure of trying were the Potato and Spanish soups, both packed with delicious, natural ingredients. They’re so good that you probably won’t have leftovers, which gives you an excuse to come back to chat with the exceptional staff. Randy’s is a cozy joint where you don’t have to compromise taste for price. 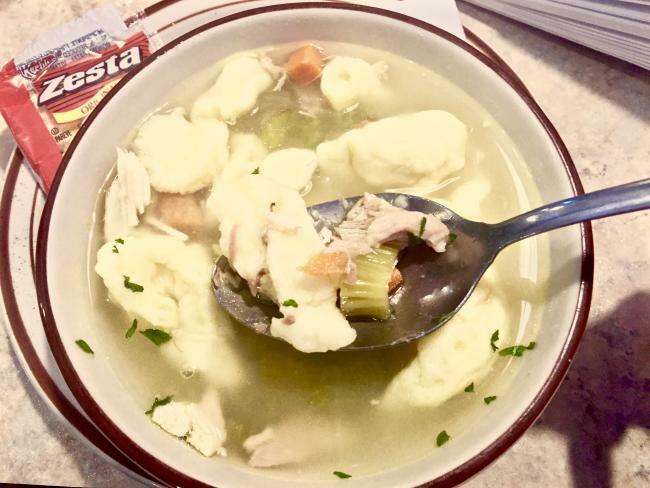 A bowl of their famous Chicken Dumpling soup is both affordable and scrumptious. The dumplings provided a perfect flavor and texture while the soup was very light. 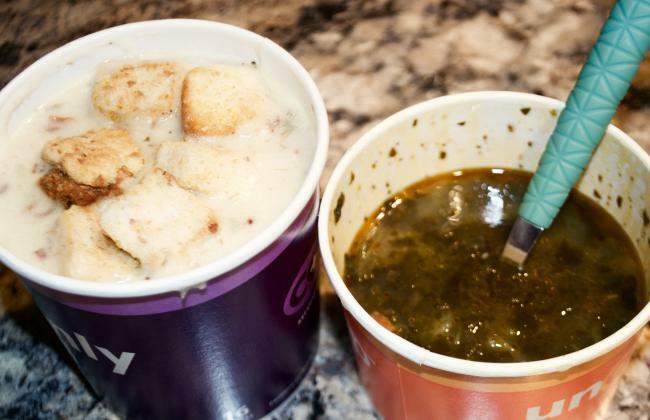 Don’t feel guilty if you order a second bowl. 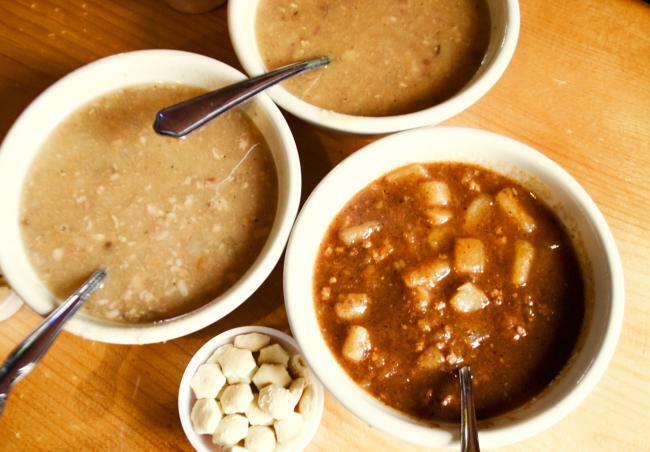 Ray’s is another great local spot to grab some cheap warm soups on these cold snowy days. The bar atmosphere is perfect for delicious soup on a budget. I tried all three of their soups: Spanish stew, split pea, and bean soup. I highly recommend the Spanish stew for anyone who likes chili or anything spicy. The split pea or bean soup is perfect for fans of light soups that keep your tummy warm. With these random snowfalls and chilly days, you can’t go wrong with any of these soups to warm you up. I hope this list provides you with new locations for old-time favorites!